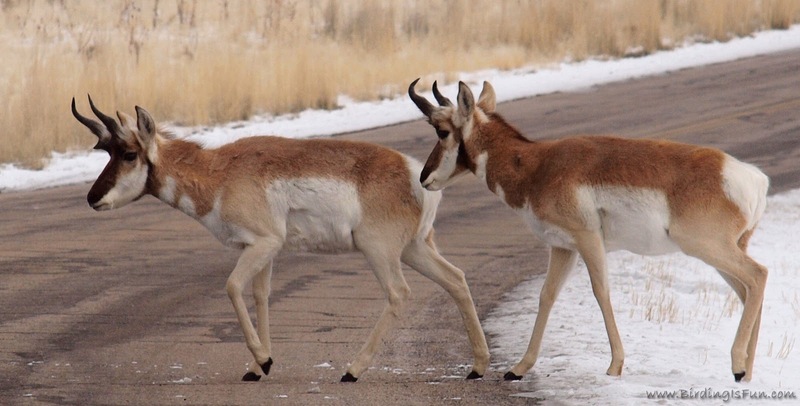 The Utah State Park's brochure for Antelope Island states "John C. Fremont and Kit Carson made the first known Anglo exploration of Antelope Island in 1845, and named it after observing several pronghorn antelope grazing on the rangelands." The politically correct brochure doesn't mention that they also killed and probably ate several of the antelope. Another online source mentions a trapper, Osborne Russell, who made a journal entry that he observed buffalo and antelope on the island as far back as 1841. Click here for more fascinating history of Antelope Island. How did these amazing creatures get onto this island? Can their genetics hold up with all that in-breeding? Well, it turns out that it isn't always an island. When water levels drop in the Great Salt Lake, it is actually becomes a peninsula. So, over time, all kinds of cool critters have made their way to the island. 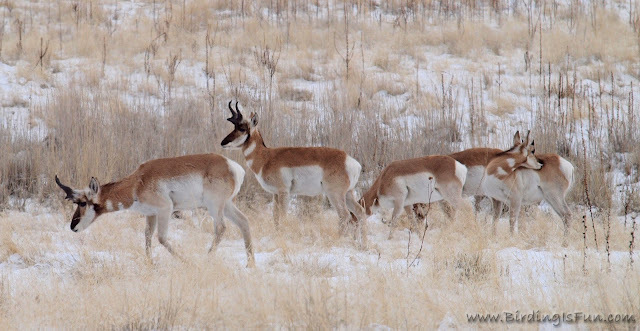 While watching this troop of Pronghorn we got to see a pair of males tussle for a brief moment which was pretty neat. Pretty cool message. Yes it is sometime striking to see small isolated population doing well, despite the fact that inbreeding should be high... Well it is just that we have to look at history to understand ;-) Your pictures are splendid as usually! Very interesting information and stunning photographs. Wonderful post, as always! @Chris and Julie Thanks as always for visiting and commenting! I love the colors of these animals! I love antelope. They are so amazing and they run so fast. I am surprised you were able to get this close to them. After all the times I have been to that island I do not think I ever saw them up this close, though I did see them closer in AZ and in ID. I use to see them all the time when I would drive from Arco to Mackey, ID to go grocery shopping. 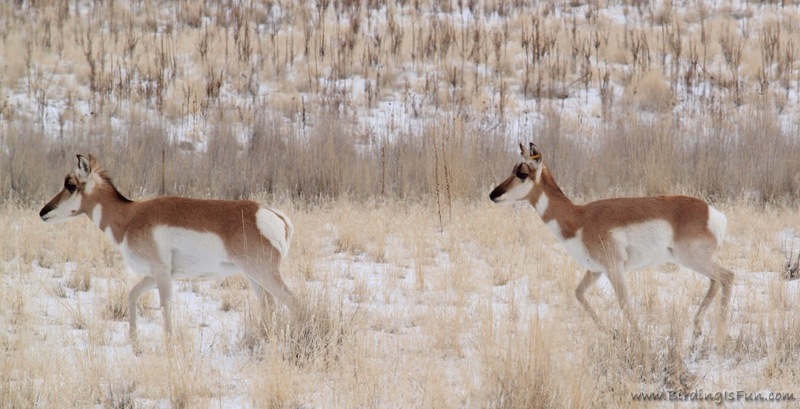 How cool is that, to see antelope when you are on your way to the store! I love nature! Great shots!